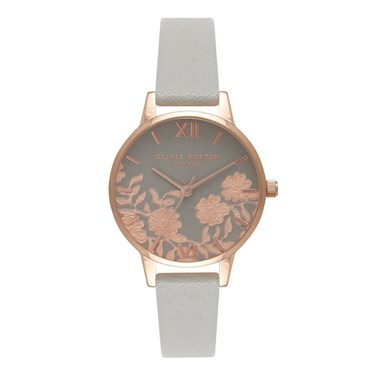 Grey meets rose gold in this beautifully ornate, lace detail Olivia Burton watch. The perfect combination of rose gold and grey will instantly update your look this season. Up to what size wrist does this watch fit?